Tick. Tick. Tick. The days are passing quickly as we approach one of the largest days on the Christian calendar. 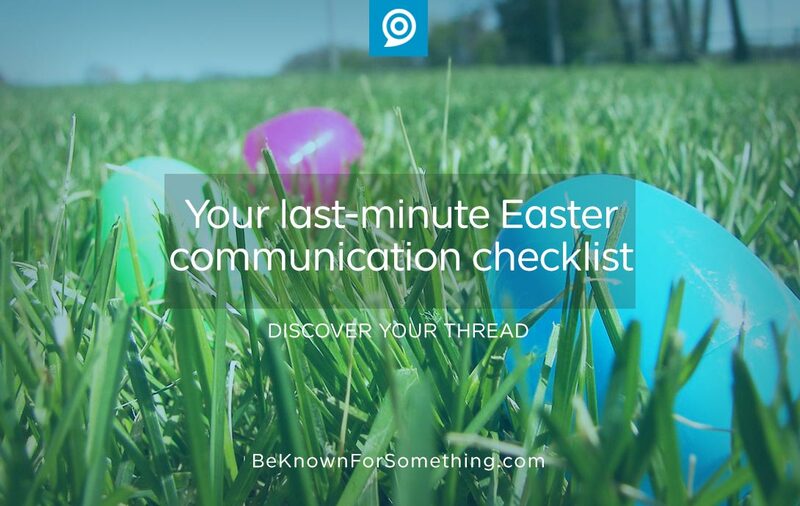 Many of you are prepared for Easter while other church communicators are scrambling to make sure people will attend church next week. 20% of the non-churched community still aren’t sure if they’ll go to any church at Easter. Social media is an excellent way to reach them at the last moment. How? Create some graphics (2814px x 2000px works well) that has shareable content that’ll appeal to people in your community — then encourage your followers to share it! Some recent data says if you say “please” in your post, people are more apt to repost or share. Make sure you have your church service information or a link to your website (either in the post or on the graphic). If there’s not many words on the graphic, Facebook allows you to boost your church’s post to reach a demographic area for a small investment. Make sure your website homepage has accurate information directed to a new person attending. Be sure you have a working directions link, correct service times, and a fresh, clean, professional Easter welcome. Use images of people like the demographic you want to attract. It may be a great time to review the content on your website too! Consider the promotional content for your Easter Service (worship guide, signage, stage announcements). Once people are on campus, be sure to welcome them, but consider what’s coming next that will get them to come back. 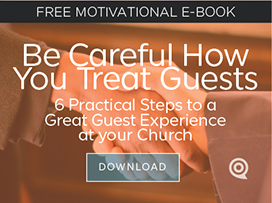 Emphasize the next sermon series, a church wide event, or a workshop that’ll help them. Don’t use any words that need translation (no acronyms, no internal language). Make sure everyone understands that everyone is welcome. Pray. Yes, pray that God opens their spiritual eyes and uses your church communications to unlock the gates of heaven. Pray before, during, and after. Easter is huge. It changes everything.